As much as we all have an emotional attachment to our own homes and there is an inherent value to us because of the history created in there and maybe the blood sweat and tears that we put into creating a home not just a house, unfortunately that doesn't add value to a buyer when it comes time to sell. Selling your home can be an emotional process but when it actually comes to negotiating the sale the emotion has to be removed and it becomes simply a business transaction that is about dollars and cents....or actually hundreds of thousands of dollars! There are many factors that affect a sale price including specifics about location, floorplan, curb appeal, interior decor, etc etc.....but as it is well said in this article, at the end of the day it's about the price and value. 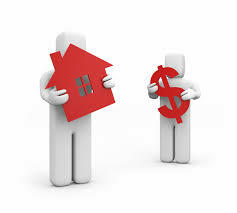 Market Value quite simply stated is what someone is willing to pay for your property on any given day.